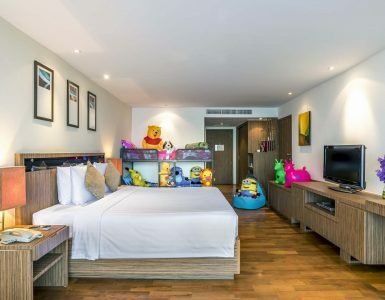 Enjoy a spacious and relaxing Family Fun Room while staying at this Hua Hin Resort. 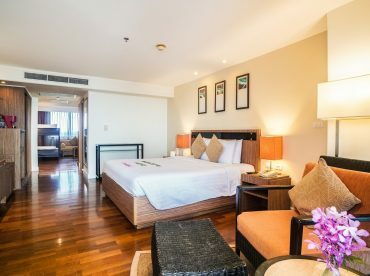 Our Family Fun Room provides a King Size Bed and Bunk Beds for either adults or children also offers comfort and space with a large balcony and stunning ocean view. With first-class comfort including deluxe amenities, free high-speed Internet, flat screen TV and a rainfall shower.